February 14, St. Valentine’s Day, the Office of the Polish MEP Marek Migalski expresses its solidarity with the Free Belarus – Belarusian political prisoners and civil society. “Nowadays, developments in Ukraine and Russia have overshadowed the situation in Belarus. That is why we once again want to show that we are mindful of Belarus and we are with all those who loves it and wants her freedom and democracy,” said the deputy of the European Parliament Anna Bilas, Assistant for Marek Migalski. The campaign created a special profile on Facebook to inform the organizations and individuals who have joined the company and expressed their solidarity with Belarus. The profile will also publish information about other companies and actions of solidarity with Belarusian civil society. 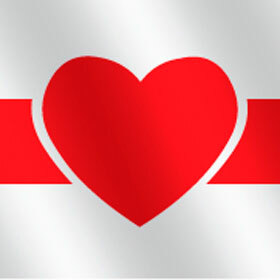 Also, the organizers ask all those who wish to express their solidarity with Belarus to change their avatars in social networks to the logo and send their photos with the white-red-white flag – a symbol of the Free Belarus. “We want this to be a sign of our solidarity with Belarus”, say the authors.